(Byfield MA) North Reading is not going to have any problem with sharing. The Hornets (18-2) rode Jess Lezon’s nineteen points to defeat Triton, 41-31, on Wednesday night. The win gives NR a share of the Cape Ann League Kinney Division title with Pentucket. The Hornets haven’t had a CAL girls’ basketball title, shared or unshared, since 1993! But the drought is over and NR now can get ready for the Division 3 tournament. The MIAA bracket will be released on Friday. 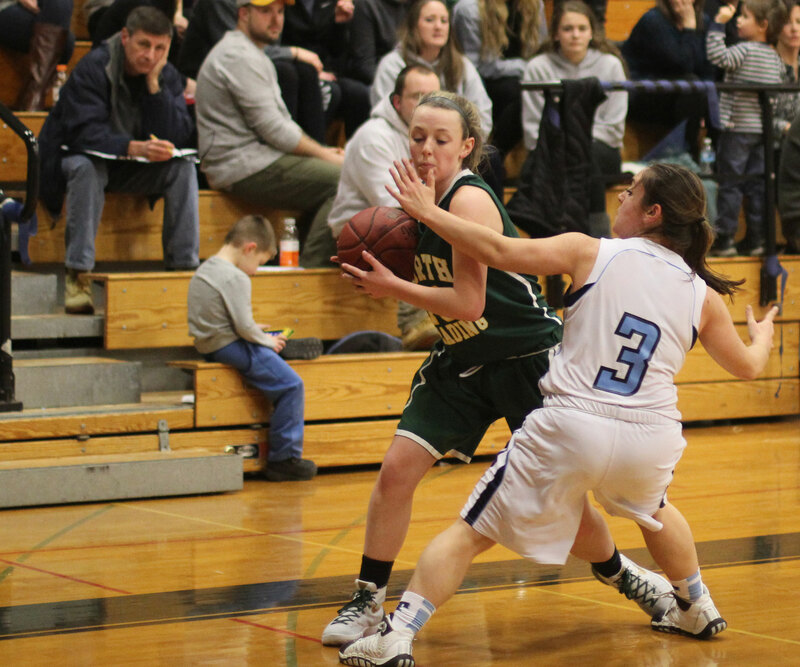 Triton (10-10) sealed their ride to the Division 2 tourney with a recent win over Everett. The visitors took the lead for good (5-4) just three minutes into the game on a three by senior Julia McDonald. 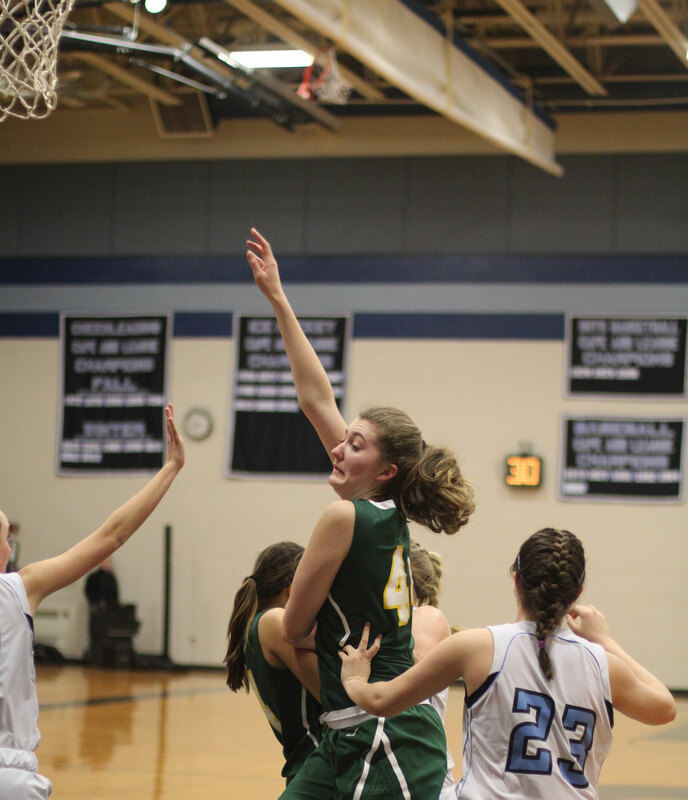 Jess Lezon (6’5”) drew plenty of Vikings defenders wherever she was. The Yale commit dominated the second quarter with eleven points getting terrific feeds from teammates. North Reading led 28-15 at halftime. 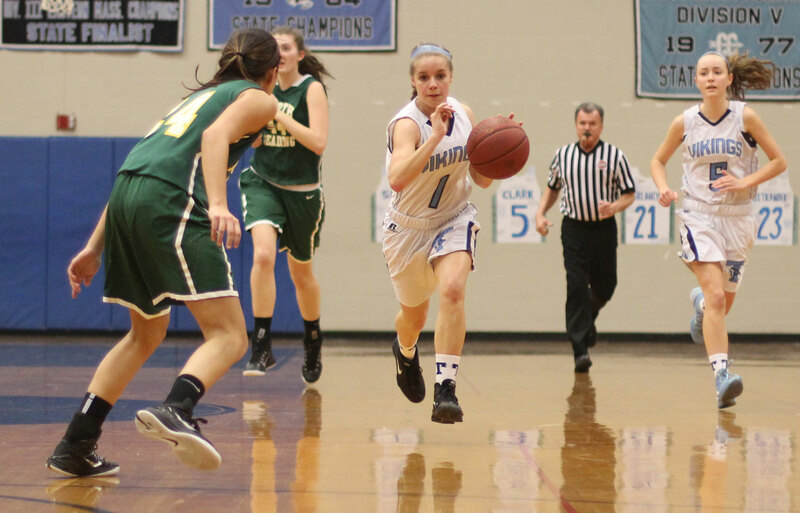 Junior Tessa Lafrance had thirteen points and defended Jess Lezon. Her problem? Foul trouble. If there is such a thing as a foul magnet, Tessa was it. 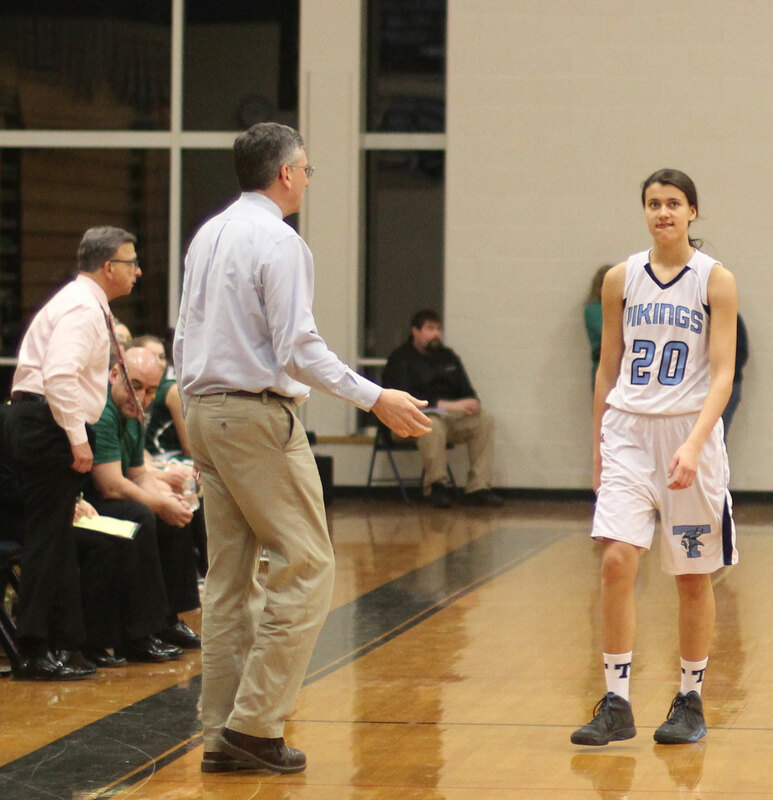 Triton coach Dan Boyle was forced to keep the 6’ junior on the bench for half of the second quarter and didn’t start her in the 3rd quarter. Tough place to have your top scorer and your best defensive matchup against Jess Lezon. The Vikings were able to chop some points off the NR halftime advantage in the second half. After an Erin Savage three, Triton got as close as they would get, 36-29, with three minutes left. 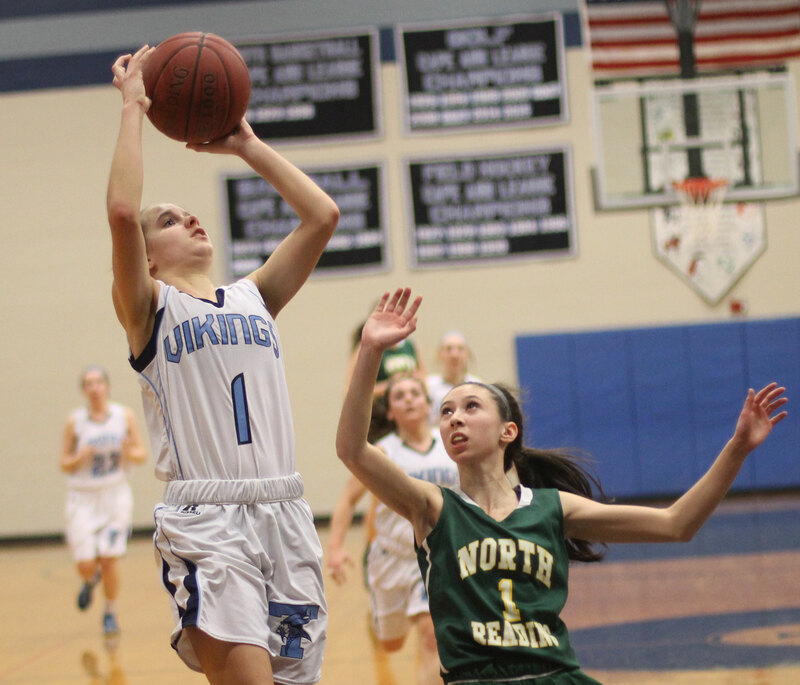 A couple of things that caught my eye in this game were: Triton played some serious defense, and North Reading did not force the ball inside but passed into open shots on the perimeter. The Vikings constantly applied pressure and were quick enough to be able to take chances and recover defensively. They jumped passing/dribbling lanes and forced thirteen turnovers by my count. 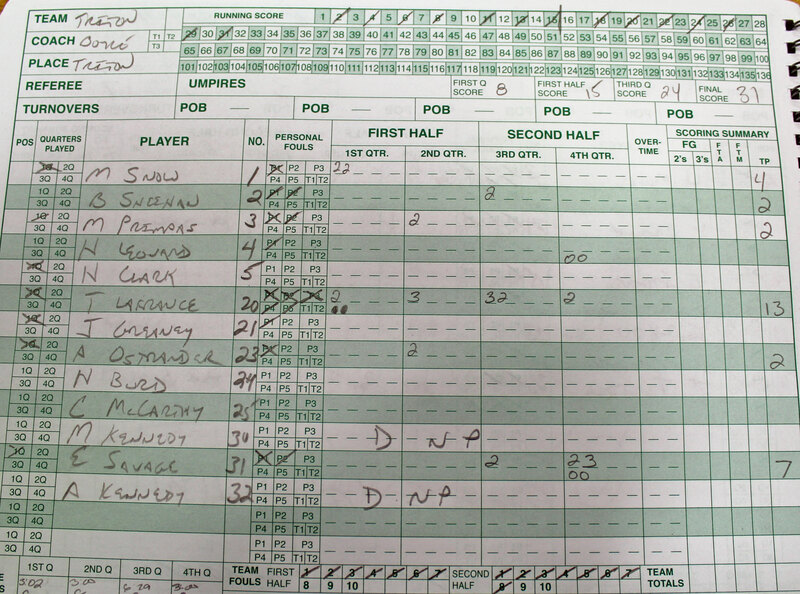 North Reading wasn’t shy about taking three’s, especially wide open ones. And there were quite a few available because Triton did everything they could to deny passes inside. One thing that worked several times for NR was quick breakouts. Several times when the break didn’t produce a good shot they were able to hit Jess Lezon rolling down the lane. 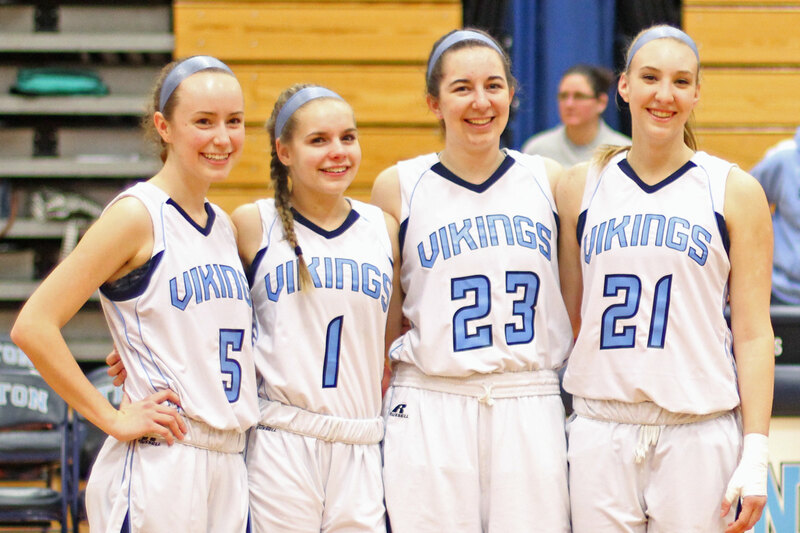 Triton seniors (Morgan Snow, Hannah Clark, Jessica Greaney, and Abby Ostrander) were honored before the game. The Hornets have won five straight and sixteen of their last seventeen. They could be the top seed in the Division 3 North. 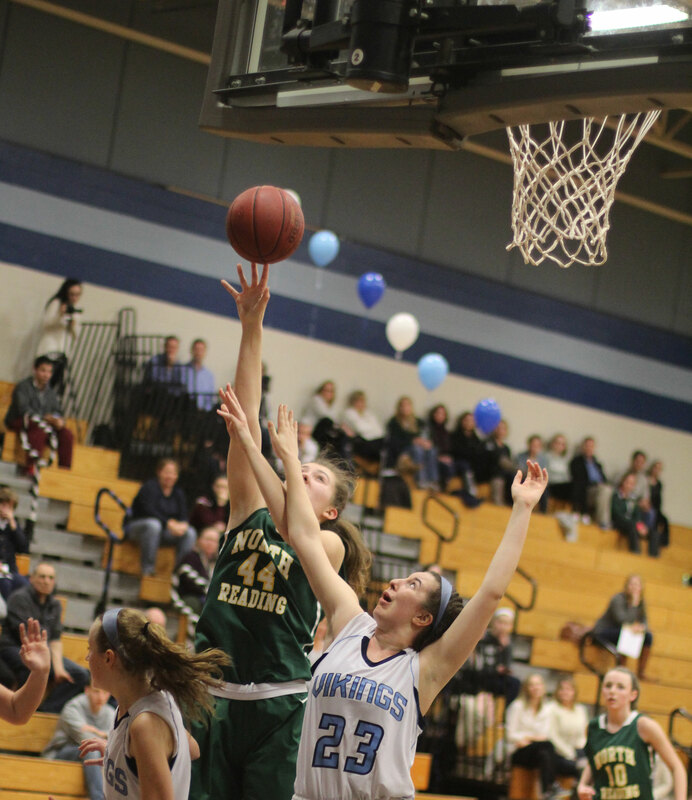 NR’s two losses were against Pentucket and Newburyport. Both of those teams are in Division 2. Pentucket coach John McNamara was in the house. Last time I saw the North Reading girls in action was at Manning Field in Lynn when they won the Division 3 North soccer title. 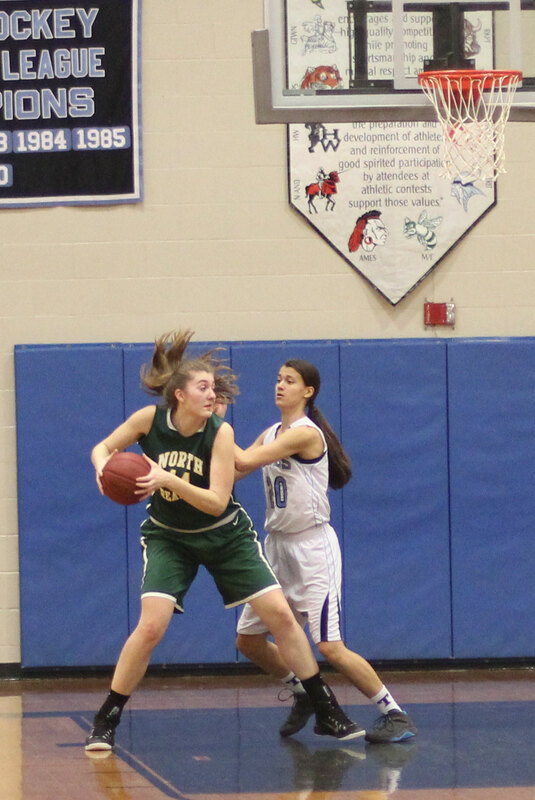 Two weeks ago North Reading defeated Triton, 51-36, at home. Jess had twenty in that game while Carly Swartz had seventeen. 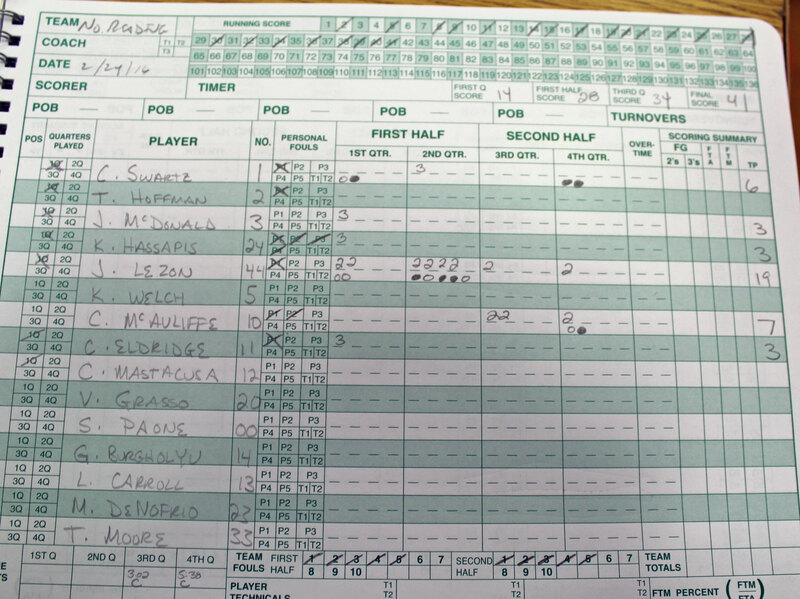 Jess scored her 1000th point on February 11th. The Hornets are now a man-to-man team. They have nine seniors on their roster. Being courtside I catch things that are said on the court. I also get a glimpse of facial reactions. At one point Jess Lezon was covering Mel Primpas. The height discrepancy was very noticeable. Hannah Clark had the ball on the wing and Mel backed down on the block with Jess behind her. Hannah saw the mismatch and smiled.